Retirement agrees with Brett Favre. He doesn’t regret the 20 years he spent playing professional football, but living in his native Mississippi, hunting with friends, and taking his grandson to guitar practice are proving to be a delightful substitutes for the daily grind of an NFL season. 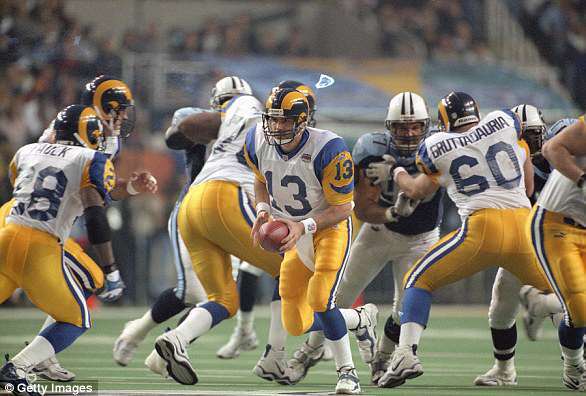 Even after winning a Super Bowl ring and three NFL MVP awards as a member of the Green Bay Packers, the 48-year-old Hall of Fame quarterback isn’t searching for ways to cling to the sport that made him a household name. He’s not becoming a coach and the rumors of Favre’s move to the broadcast booth are already dying down. His immense impact on the game would appear complete, but for one last thing: Brett Favre is going to end youth tackle football in America. ‘I think it’s going to take someone who has poured his blood, sweat and tears into it,’ Favre said. Favre has given more than plasma, though. He may have sacrificed his brain for football, and now, after what he estimates are ‘thousands’ of concussions, Favre’s personal mission is saving children from a lifetime of health issues connected to one of the country’s most indelible pastimes. He is, unfortunately, an undeniable expert on the subject. That would be bad enough by itself, but the violent head injury Favre suffered was simply the last incident in over three decades of abuse, some of which was self-inflicted. 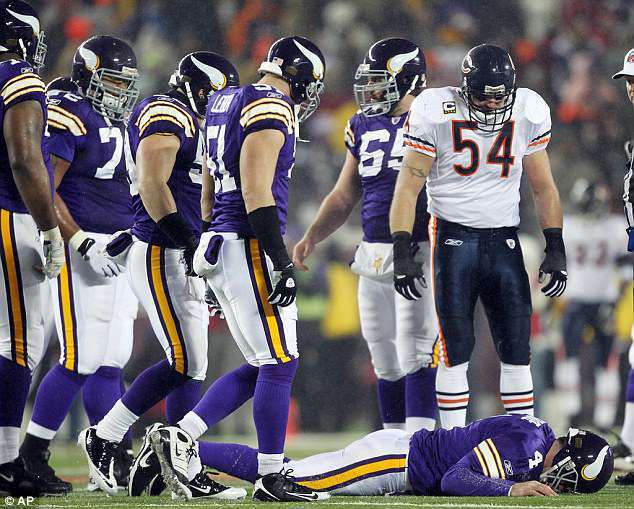 Brett Favre’s career ended after being knocked out in a game against the Chicago Bears. At the time, though, the signs of acute head trauma were less a cause for concern and more of a source of laughter. 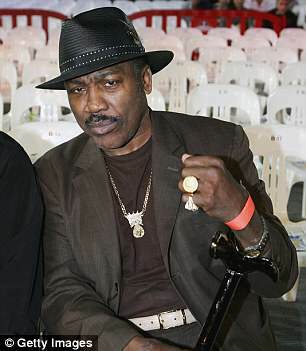 When former coach Mike Sherman brought in boxing legend Joe Frazier to speak with the Packers, the punch-drunk former heavyweight champion’s slurred, incoherent ramblings sent everyone into hysterics. Over time, these hard impacts result in confusion, depression and eventually dementia. 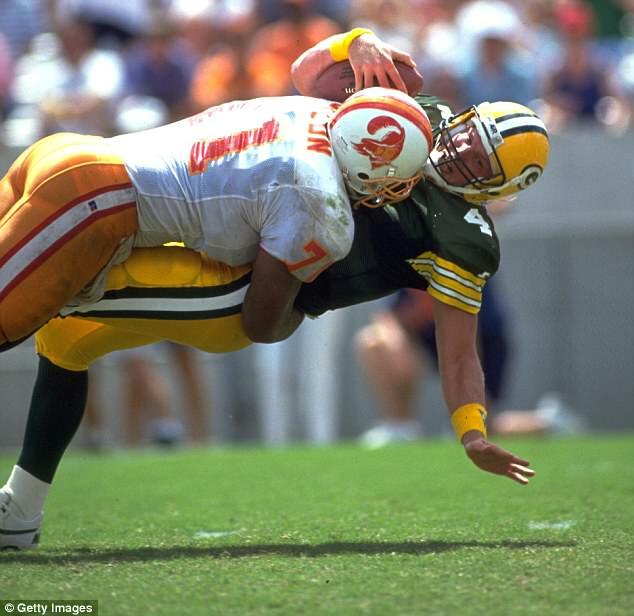 There has been several retired football players who have come forward with brain diseases. They are attributing their condition to playing football and the hits they took. More than 1,800 former athletes and military veterans have pledged to donate their brains to the Concussion Legacy Foundation for CTE research. 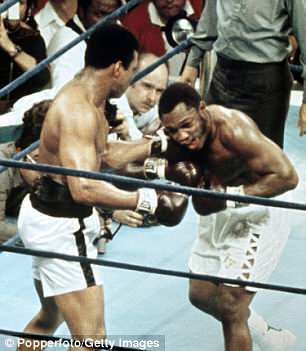 CTE was usually associated with boxing before former NFL players began revealing their conditions. Several notable players who have committed suicide were posthumously diagnosed with the disease, such as Junior Seau and Aaron Hernandez. ‘I’m telling you, we laughed. I was like, “What in the hell is he talking about?” Favre said of the now-deceased Frazier. Favre is not laughing now. Instead he’s discouraging his own grandsons from stepping on the gridiron (he hopes they take up golf) at a time when youth football participation is already trending downward over fears of the neurodegenerative disease chronic traumatic encephalopathy (CTE). In April, researchers at VA Boston Healthcare System and Boston University School of Medicine found that among 211 players who were posthumously diagnosed with CTE, those who began playing tackle football before the age of 12 suffered an earlier onset of symptoms (typically cognitive, behavior, and mood issues) by an average of 13 years. 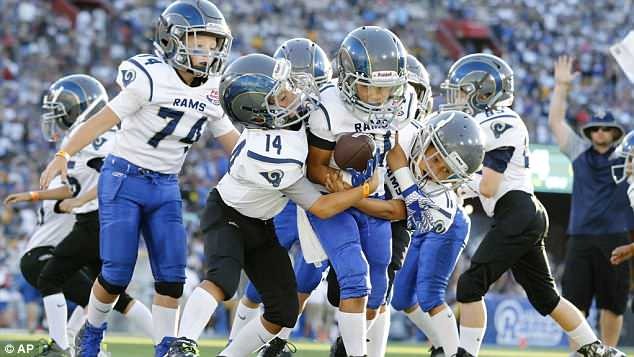 Unsurprisingly, participation in youth tackle football (ages 6 to 17) dropped 19 percent between 2011 and 2016, according to Aspen Institute data from the Sports & Fitness Industry Association. ‘I think the reason for that is that parents are steering their kids away from tackle football to something a little bit safer,’ Favre said. He’s also supporting efforts like a proposed Illinois bill forbidding anyone under 12 from playing tackle football. 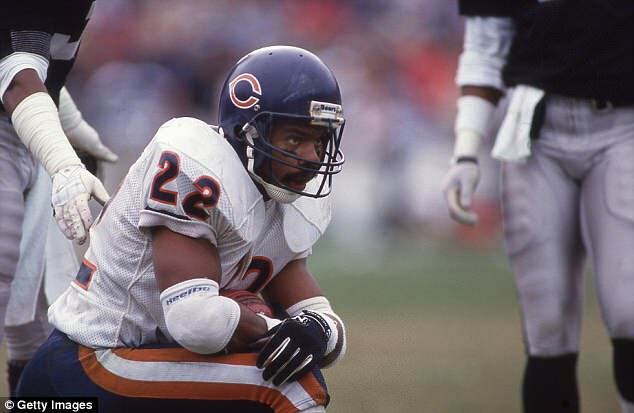 The Dave Duerson Act to Prevent CTE – named after the former Chicago Bears safety who committed suicide after a lengthy battle with the disease – does not yet have enough support to pass in Illinois. Still, Favre thinks similar legislation is needed at the federal level. 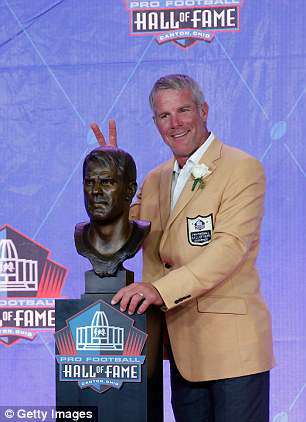 Although he does not hold the NFL responsible for any of his own medical issues, Favre is taking aim at football’s macho culture. Today, if you hit too hard, 15 yards, throw him out of the game. They’re ruining the game, right? They’re ruining the game. It’s hurting the game. Whereas President Donald Trump claimed in September that the NFL’s new rules aimed at preventing head injuries are ‘ruining the game,’ Favre – the NFL’s famed ironman, started a record 321 straight games – emphatically disagrees. 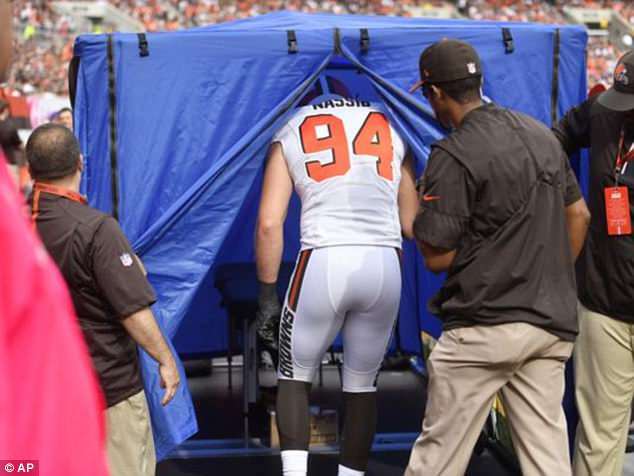 The legal battle and the effort to prevent head injuries are only pieces of the puzzle. The reality is that concussions will occur no matter how many safety precautions are taken. That’s why there is such a dire need for treatments such as Prevacus, a nasal inhaler designed to deliver steroids to the brain immediately after a possible concussion. The President can say what he wants. It is a serious issue and it needs to be dealt with. The drug is still in its testing phase, but the claim is that it is so safe, it can be administered to anyone suspected of suffering a traumatic brain injury as a way to reduce the inflammation, oxidative stress and cell death that experts believe lead to long-term issues like dementia and CTE. So even if the protocols adopted by leagues like the NFL and NHL struggle to definitively diagnose a concussion, players could still receive the 14-day treatment in hopes of avoiding the long-term effects. 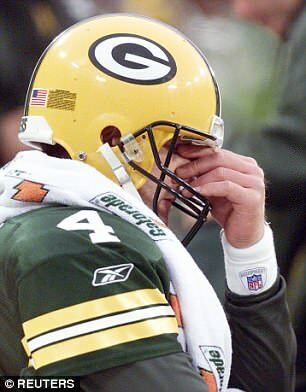 Prevacus does not offer any solutions for Favre, who admittedly suffers from significant memory issues, but the hope is that it can play a significant factor for young athletes going forward. 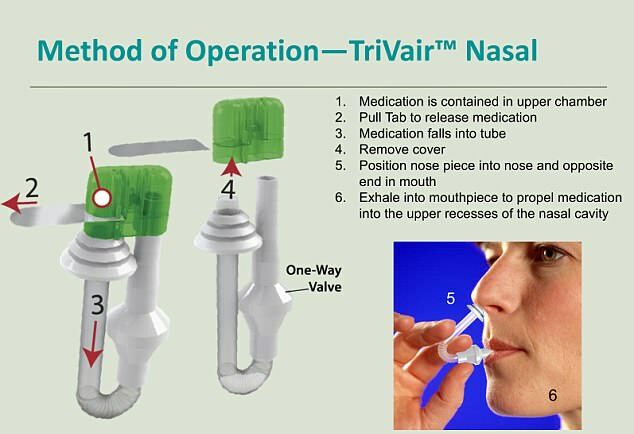 And since the nasal inhaler is small and relatively affordable (the 14-day treatment costs $300), the drug could be applied in a number of useful situations from youth sports to the battleground, where explosions are known to cause head trauma in soldiers and civilians. It could even be stored in a home first-aid kit or in a coach’s backpack. Prevacus is now entering the first phase of human testing, which is a major hurdle for any proposed treatment. Best of all, the research has the potential for real-life applications, which is something that drew Warner to Prevacus in the first place. 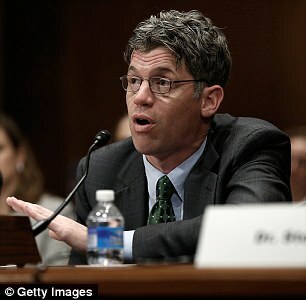 Warner’s oldest son Zack suffered a traumatic brain injury when he was just four months old that ultimately left him blind with intellectual and developmental disabilities. At the time, doctors said he was lucky to live, but added that young Zack would be severely limited as he got older. Fortunately he ‘exceeded all expectations,’ Warner told the Daily Mail. Zack even graduated high school. However, Warner has been left wondering how his son’s condition may have been improved by an effective treatment method that could have been administered immediately. ‘What if we had that sitting around in the cabinet with the band-aids and we administered that right away?’ asked Warner, whose charity, Treasure House, is aimed at offering a community living facility for young adults with intellectual and developmental disabilities such as Zack. VanLandingham, too, could have benefited from a similar treatment in 1995, when he was knocked unconscious by an unknown assailant. He ultimately suffered three hemorrhages in his brain and nearly died before enduring 18 months of amnesia, seizures and the loss of his sense of smell. The experience is what prompted him to go to get his PhD in neuroscience. 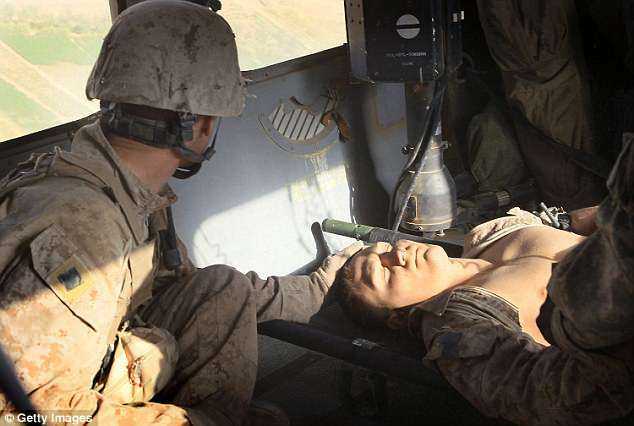 ‘When you can’t remember what you said two minutes before, it’s the most frustrating thing on earth,’ said VanLandingham, who insists Prevacus could have been helpful during is ordeal. Favre, Warner and Wambach all agree that it is incumbent upon professional sports leagues to take an active role by funding research in this area – not only for the greater good, but because it will benefit their sports directly. The thinking is that money spent now will ultimately save the leagues larger sums in long-term treatment and settlements connected with head injuries – something the NFL is already dealing with after settling a $1 billion class-action lawsuit with former players. 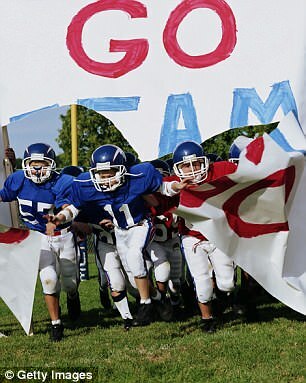 And for high-risk sports like football – which saw participation at the high school level drop by more than 48,000 between 2009 and 2016 – effective treatments could help stave off extinction. ‘If it does what [VanLandingham] claims it will do, then I think we’ll all look at football much differently than we have the last five or six years,’ said Favre. For now, in the absence of any real concussion treatments, Favre believes that the risks of youth football outweigh the rewards. His three grandsons may have his championship pedigree, but the chances of them following his path to the NFL are remote to say the least. 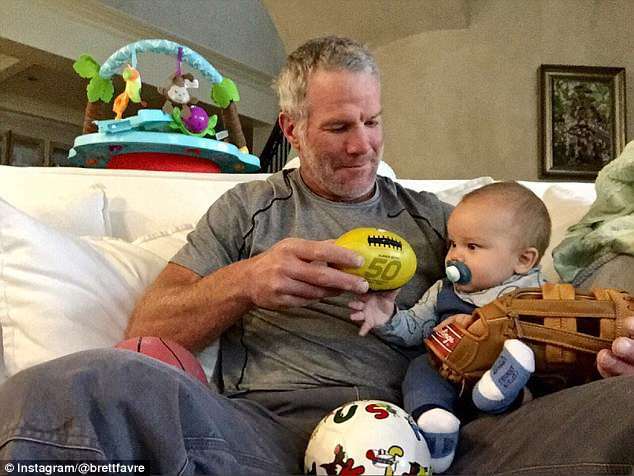 What’s most worrying to Favre is that even without playing decades in the NFL, one can still suffer the same consequences that he currently deals with. That’s why you won’t find him encouraging his eight-year-old grandson to play catch in the back yard. ‘Maybe that’s selfish,’ Favre said. ‘But what are the odds of him becoming the next Brett Favre? What if he plays one year, gets a major concussion, and is never the same. Despite the medical community’s best intentions, diagnosing concussions remains imprecise. ‘You can get two clinicians and tell them the same story and get two different opinions,’ said Dr. Erin Manning, a neurologist at the Hospital for Special Surgery in New York. Because of that ambiguity, the decision over whether or not to remove an athlete from a game over a possible concussion is difficult. Leagues like the NFL and NHL have designed their own protocols to help identify possible concussions, but those measures are not full proof. 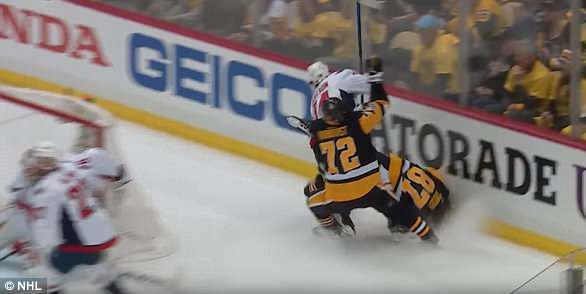 For instance, Pittsburgh Penguins star Sidney Crosby remained in a playoff game in May of 2017 after crashing head first into the boards. 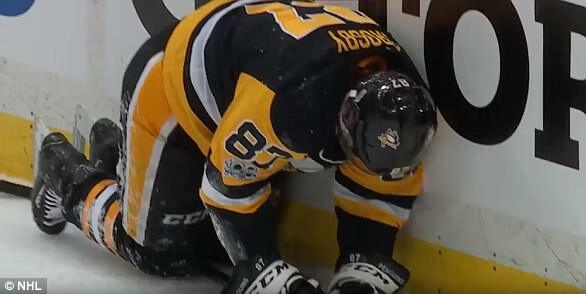 At the time, the NHL’s concussion spotters were not permitted to order him off ice, even though Crosby had recently suffered a previous concussion. And while erring on the side of caution seems obvious, the decision to remove any player suspected of suffering head trauma could incentivize other athletes to collide with the opposition in an effort to get them into the concussion protocol and off the field of play. Far too often it’s athletes and coaches who make these determinations, and in the midst of a game, that can be problematic. 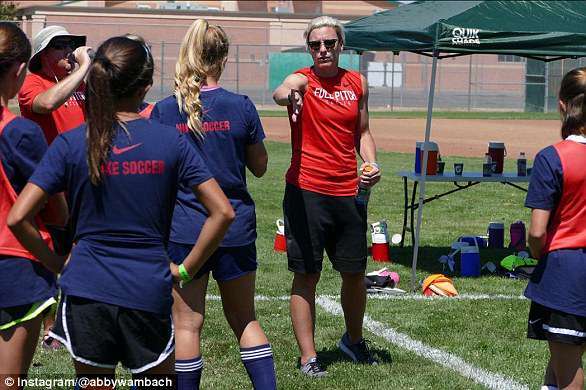 Even for an experienced soccer player like retired USWNT star Abby Wambach, who helps coach her daughter’s youth team, mistakes can be easy to make. ‘There was a situation where one of my girls’ teammates got hit in the face and the first thing that came out of my mouth was, “You’re OK,”‘ Wambach told the Daily Mail. In retrospect, Wambach knows that was not the right response. But that does not mean a physician should have the only say in the matter. Because concussion protocols are imperfect, it’s incumbent upon players to voice their own concerns, even if it means contradicting doctors and coaches. 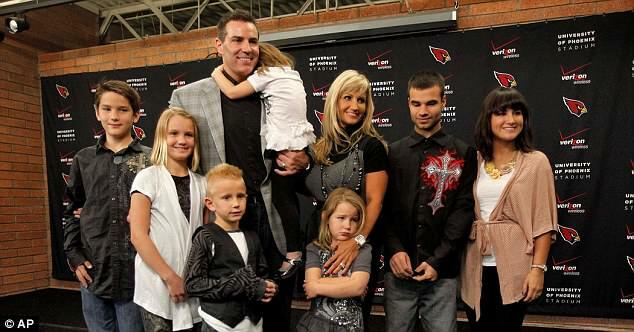 In 2009, during a victory over his former team, the St. Louis Rams, then-Arizona Cardinals quarterback Kurt Warner was sidelined with a concussion. The former NFL and Super Bowl MVP was ultimately cleared to return before the next game, which to many observers, was the final word on the matter. 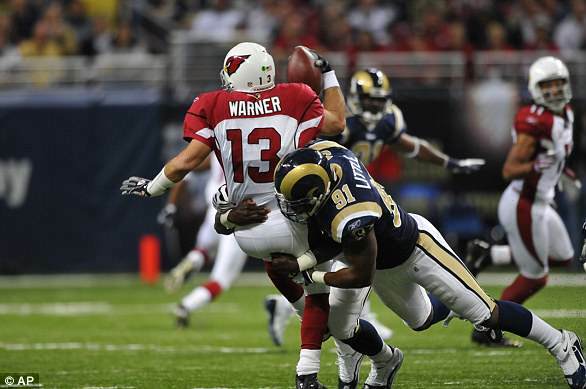 Warner, who was an established four-time Pro Bowler playing in his final season, opted to sit out against the Tennessee Titans, snapping his streak of 41 consecutive starts. The Cardinals ultimately lost, 20-17. ‘I know people were looking at me like, “I can’t believe you did this. Every game is so important in the NFL,”‘ Warner explained. Warner is at peace with the decision, but he readily admits it would have been much more difficult to make earlier in his career when he was a fringe NFL player coming off a stint in the Arena League. Warner remembers many occasions when he suspected teammates of playing with head injuries, but at the time, everyone was dismissive of the symptoms and the potential dangers. Until a comprehensive treatment can be approved for concussions, an athlete’s best bet is to communicate anything and everything to coaches, trainers and parents. Then, together, everyone can agree on the appropriate precautions.